What will your extraordinary outcome be? 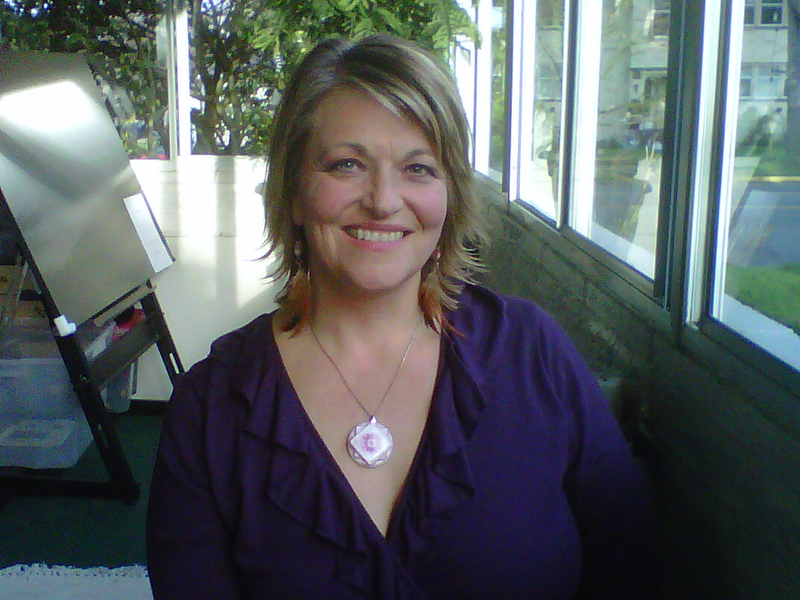 Suki Fox, is a Teacher and Wellness Practitioner with over 25 years of experience in health and wellness support, from Vernon, BC. She has been helping clients shift with Resonance Repatterning sessions for over 15 years now. She facilitates personal and group Repatterning sessions, and transformational workshops everywhere! Alice: I met Suki two winters ago at Intention Winter Retreat and I attended her group repatterning session, and later had many private repatterning session with her. Suki is kind, gentle and very wise and supportive. She has helped me discover many of my limiting believes, stuck emotions, toxic emotional baggage and what caused them. Many of these believes are passed on from generations. It has truly been an eye opening experience. I feel very blessed and grateful to have grown so much and shed so much crap out of my life thanks to Suki's amazing healing techniques. She doesn't just make you feel better, she gets to the root of the problem and gets rid of it once and for all! I highly recommend her service, and for you to attend her workshops! 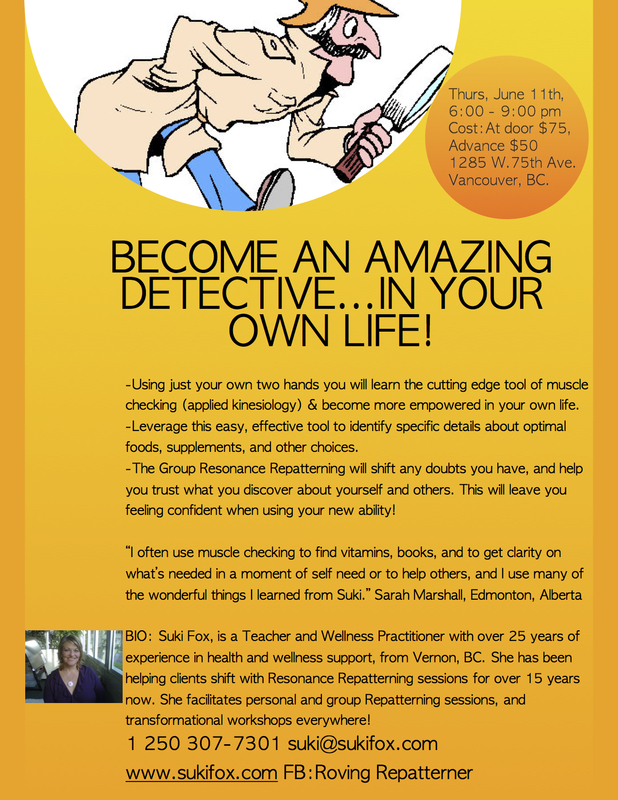 She's not normally in Vancouver so do take advantage of this opportunity.